We have all been preparing for aeons of time to fulfill our individual facet of the unfolding Divine Plan. I know from outer appearances things seem chaotic, but day-by-day we are moving forward in the Light. A NEW Planetary CAUSE of Divine Love has been secured in every person’s Heart Flame by his or her I AM Presence. Now it is up to all of us to magnetize these patterns of perfection into our tangible life experiences through our thoughts, words, actions, and feelings. Please take a few deep breaths and feel your consciousness expanding to take in the bigger picture. In the midst of the chaos, miracles are happening. The Beings of Light have revealed that during the past 100 years very evolved souls have volunteered to embody on Earth in an attempt to help Humanity raise our heads above the mud puddle of our human miscreations. These souls have embodied all over the world, but they have deliberately concentrated in areas of the world that reflect the greatest pain and suffering. The hope is that these souls will awaken more easily than the masses of Humanity who have been buried in our human miscreations for thousands of years. According to the Company of Heaven, this facet of the Divine Plan is succeeding beyond the greatest expectations of Heaven. An unprecedented awakening is now taking place, which is resulting in the greatest shift of consciousness the Earth has ever experienced. As these highly evolved souls awaken, they are creating an upward flow of consciousness that is lifting Humanity’s focus of attention. This is helping the masses of Humanity to awaken more quickly and to reconnect more easily with our I AM Presence and the Realms of Illumined Truth. The painful experiences that are surfacing all over the world reflect lifetimes of hatred, corruption, and violence that have been created through Humanity’s negative thoughts, words, feelings, beliefs, and actions. These distorted behavior patterns have been perpetuated by our human egos for millennia. Since we are all One, every particle of Life is interrelated, interconnected, and interdependent. There is no separation. What affects one facet of Life affects all Life. What this means in very practical terms is that the pain and suffering caused by Humanity’s miscreations must be brought to the surface and transmuted back into Light if ANY of us are going to be ready to make the shift into the 5th-Dimensional Realms of Light. Energy cannot be destroyed, it can only be transformed. We cannot just say “cancel, cancel” and clear lifetimes worth of our egos’ abuse of power. We have to become aware of our past transgressions of the Laws of Divine Love, Reverence for Life, and Oneness, so that we can invoke the Light of God and transmute our gross mutations back into their original perfection. Now that a NEW Planetary CAUSE of Divine Love is pulsating within every person’s Heart Flame, everything that conflicts with Divine Love is being pushed to the surface at an accelerated pace. Humanity has created every malady existing on Earth today by misusing the precious energy our Father-Mother God gave to us as our Gift of Life. Through our free-will choices, we accepted our Gift of Life and then distorted that harmonious energy into all manner of pain and suffering through our creative faculties of thought and feeling, and our gift of free will. Now, in order for us to move forward with the rest of our Solar System, there is no other option than for us to experience the results of our miscreations, so we can transmute them back into Light. Knowing the urgency of the hour, our Father-Mother God issued a Cosmic Edict a few decades ago that gave the highly evolved souls who are now embodied on Earth permission to intervene in the purging and healing of Humanity’s miscreations. For the first time ever, these selfless Sons and Daughters of God have been given permission to join with their sisters and brothers on Earth and to actually take on some of the mass consciousness and the collective karmic liabilities Humanity has created since our fall from Grace. This is why these evolved souls embodied in areas where the densest frequencies of pain and suffering are being played out in people's lives. When we look historically at the horrific experiences Humanity has gone through during the past 100 years, we get a glimpse of the sacrifice these highly evolved souls have made on our behalf. They have assisted all of us and brought our human miscreations to the surface by volunteering to experience devastating wars, religious persecution, plagues, natural disasters, poverty, hunger, hatred, greed, corruption, violence, and the unbridled abuse of power by our human egos. Through their lives and often through their deaths, these precious souls have brought to the attention of Humanity the rampant miscreations our human egos are perpetuating on this planet. Some of these souls awakened fast enough to consciously remember why they are going through such painful experiences, but many of them did not. Nevertheless, they have God Victoriously gone through the experiences that they volunteered to heal. Their sacrifice has purged a great deal of Humanity’s collective negativity and catapulted the children of Earth forward in the Light. The inclement weather conditions that are taking place all over the world are part of this necessary purging process. These catastrophic events are occurring in alignment with the unfolding Divine Plan. The positive thing is that in the midst of the chaos people are opening their hearts and reaching out to their sisters and brothers. In the face of such devastation our differences become irrelevant and the Oneness of Life begins to register in the hearts and minds of the masses of Humanity in profound ways. The love and compassion we develop when we witness the pain and suffering of our sisters and brothers, softens our heart and allows more of God’s Love and Healing Light to flow into our lives. 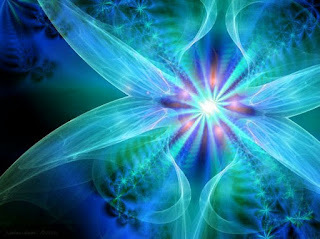 This Open Heart response will accelerate the manifestation of our NEW Planetary CAUSE of Divine Love. As the collective consciousness of Humanity reaches out in love and compassion to our less fortunate sisters and brothers a shift takes place within our hearts and minds. This creates the Open Door through which the Company of Heaven and our I AM Presence can flood the Earth with the patterns of perfection for the New Earth and our Cause of Divine Love. Humanity’s newly open hearts and feelings of deep love and compassion for our fellow Human Beings will allow a greater influx of God’s Love and Healing. The souls who have embodied to help us, are blessed for their selfless sacrifice on behalf of all Humanity. Those who are leaving the physical plane are being escorted into the Heavenly Realms by Legions of Angels. Those who are left behind will continue their service to the Light, but the Company of Heaven has enveloped each one in a mantle of Divine Comfort and Love to help them fulfill their facet of the Divine Plan. These are truly wondrous times. Now it is up to you and me and every other person on the planet to open our hearts, so we too can fulfill our unique facet of the Divine Plan. I AM the Divine Image of God manifesting Perfection in my Being and world, and for the Children of God, everyone, everywhere in God’s Supreme Name FOREVER. The long awaited moment has arrived. HUMANITY HAS EMBARKED ON OUR RETURN JOURNEY BACK TO THE LOVE AND WILL OF GOD. The Age of Enlightenment has dawned. This is the time long foretold by the ancient prophets, when Humanity will attain our Victory in the Light. We need only to lift up our consciousness and step through the open door into our Eternal Freedom. AA METATRON CHANNEL - THE NATION OF HUMANITY U.N.